The Jazz Studies area provides a variety of performing opportunities including the UNC Jazz Band, the UNC Jazz Combos, and Charanga Carolina. 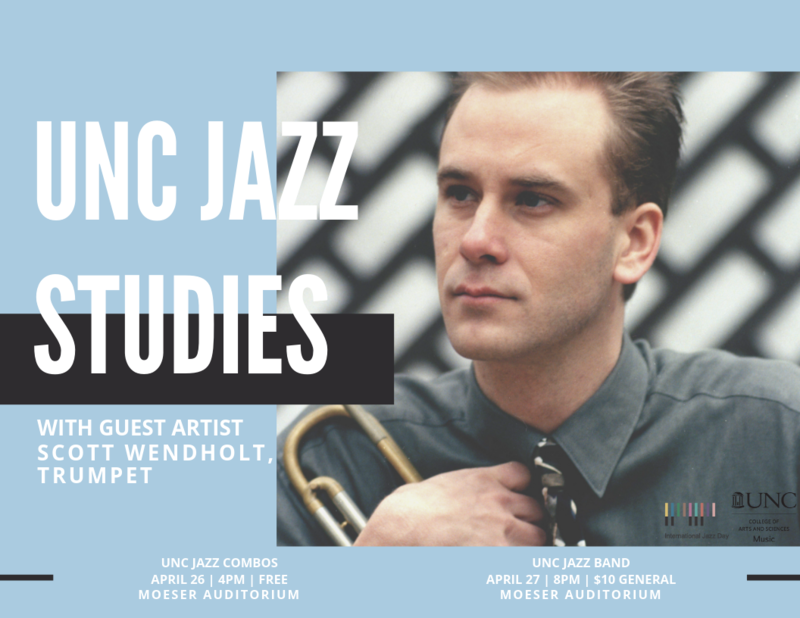 The UNC Jazz Band is directed by Professor Jim Ketch and meets MWF from 1:25-2:15 p.m. in Kenan Music Building, Room 1201. The jazz combos rehearse twice weekly – once on Fridays between (2:30-4:30 p.m.) and one other time during the week as scheduled by the students in each respective group. Jazz at Lincoln Center with Wynton Marsalis, Terrence Blanchard, Pat Metheny, Wayne Shorter, Brian Blade, Count Basie Orchestra, Dianne Reeves, Marcus Roberts and the Modern Jazz Generation, Vanguard Jazz Orchestra, Sonny Rollins, Ornette Coleman, Joe Lovano, Dave Holland, Esperanza Spaulding, Fred Hersch, Julian Lage, Brad Mehldau, and Vijay Iyer. 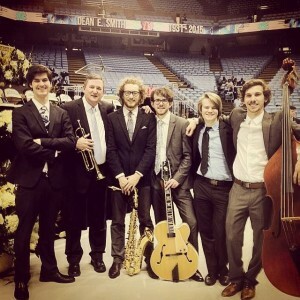 Students in the jazz area also typically perform at a variety of venues in the Chapel Hill area. For audition information, please visit the “Auditions” page found at the tab to the left.